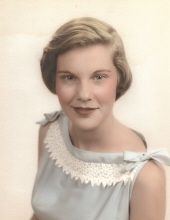 Clifford Loretta Piper Wood, age 79 passed away peacefully on Saturday, December 1, 2018 in The Woodlands, Texas. She was born on August 29, 1939 in Austin, Texas to Clifford Sterling and Inez Lewis Piper. Loretta graduated from Travis High School. She worked in the electrical quality control field and retired from Lockheed Martin. Loretta truly lived life to the fullest through simple pleasures; chatting with friends and family, snacking, computers, arts and crafts, fast cars, fishing, and a day at the beach. Loretta was preceded in death by her parents Clifford Sterling Piper and Inez Lewis Piper; brother, Philip Morris Piper; daughter, Loretta Diane Mathena; and great grandson Jaydon Reed. Loretta is survived by her sisters; Billie McGee and Shirley Watkins; Sons, Eugene Mathena II and wife Jennifer, Daniel Mathena and wife Lisa, and Michael Mathena and wife Krissy; Grandchildren; Felicia Huerta, Jeremy Kazee, Haley Provost, Eugene Mathena III, Amanda Vasquez, Chelsea Cottrell, Leah Mathena, Forrest Eldridge, Megan Eldrige, Justin Morton, Kayla Morton, and 15 great grandchildren. A memorial service will be held at McNutt Funeral Home in Conroe, Texas on Saturday, December 15th at 2:00 pm. To send flowers or a remembrance gift to the family of Loretta Wood, please visit our Tribute Store. "Email Address" would like to share the life celebration of Loretta Wood. Click on the "link" to go to share a favorite memory or leave a condolence message for the family.